I'm writing this post in the back of the car whilst driving home from Manchester. I've just been to an interview at MMU for BA (Hons) Fashion and it was petrifying to say the least. 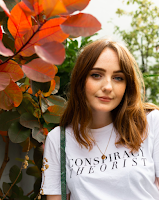 But I'm very pleased that they have offered me a place for international fashion promotion and fashion buying and merchandising, so lots of revision is required these next few months! For a long day of sitting around, I decided to wear my new Topshop denim dress which I am slightly obsessed with at the moment. I went in looking for their denim skater skirt, could only find it in a size 6 and walked out with this beauty instead. Much better, don't you think? Oooh, congratulations! :) And I adore how you grunged up that simple denim dress with that awesome moto jacket and hairband! 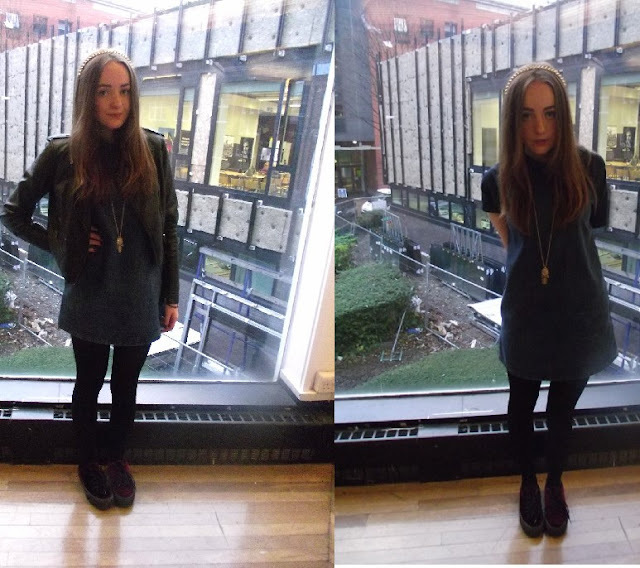 Loved the denim dress , loved your blog as well ! Followed you via GFC , hope you follow back ! Great outfit! beautiful nail polish! Do you want to follow each other? Come and have a look and let me know. You look so cute!! love your dress! love the dress..and good luck with the uni. I'm jealous wish I'd done the course you want to do..